This is a guest article by Blair Pettrey of MeetingPlay. Odds are, you have an annual calendar in your office, showing all of your trade shows for the year. But do you have an individual calendar for every single trade show? Having an annual calendar for each of your trade shows – with what exactly needs to be done and by what date, helps keep you on track. An easy (and economical way to do this? We fail to realize how easily distracted we are – until it is too late. Whether it’s the frequent notifications buzzing from your phone, the email notices showing up on your monitor, or the latest news update blaring through your television. Turn off the interruptions and focus on the task (that solo task!) at hand. You will be far more efficient– and accomplish more by being able to give your full attention. If you know that you are easily distracted with growing vegetables on Farmville, or by browsing your favorite fashionista dog page on Facebook – Google Chrome (and Firefox) have multiple extensions you can install to restrict the amount of time you can spend on pages you pre-define. Our favorite? StayFocused (for Google Chrome). Whether you choose Upwork or Elance or Fiverr there are several websites that have professionals who can do exactly what you are in need of – whether it is producing a video, publishing a blog post, or delivering an automated report – these freelance professionals can do it all. Just make sure you are employing someone whose first language is yours. 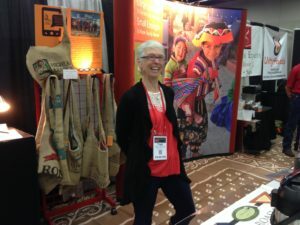 Even though your primary language may cost a bit more – the peace of mind of knowing someone says (for example) “Trade Show Booth Design” vs. “Trade Show Designs Booths” is worth the price difference, all while still saving you critical time, at a small fraction of the cost of your worth. By implementing these tips and suggestions trade show professionals can maximize their time, accomplish more tasks, and open up time and opportunity for further success! Author: Blair Pettrey is the Senior Marketing Manager at MeetingPlay – a mobile event app. With over 10 years of experience in all areas of online marketing, she is committed to ‘paying it forward’ for trade show and event professionals through resourceful marketing tips and content. You went through all the trouble of signing up, paying for, travelling to, setting up, and planning your day around manning the booth …. Why are you wandering around and abandoning your booth? What if you walked into Starbucks and no one was behind the counter? What if you went into Best Buy and there were no nerds in blue shirts around to help you find the giant TV you probably don’t need? Event booths are useless without you at the help. What if the Beatles had attended tradeshows? Yeah, Yeah, Yeah, it’s a crazy idea. 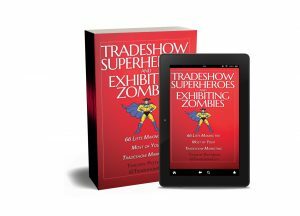 Why in the world would the Beatles in their heyday, ever consider exhibiting at tradeshows? They already owned the music world. 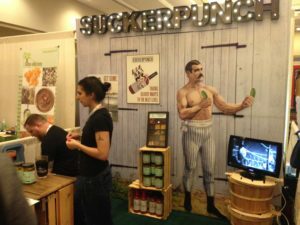 What could be gained from setting up a booth? But let’s consider. Say their manager, Brian Epstein, convinced them they should show up at a booth pushing their products in 1965 at NAMM (I have no idea if NAMM actually had a show in 1965). Brian: All right, boys. I’ve got you booked at NAMM. John: Must be a bird with the gift of gob. Paul: A Winglish man from the motor trade? George: I humbly withdraw from this conversation. Library of Congress, Public Domain. 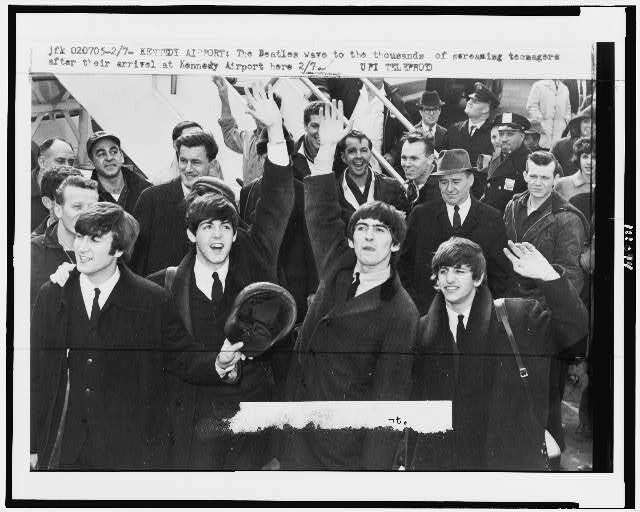 1964, NYC, Kennedy Airport. RIngo: But George, you’ve only just begun. (aside: Hey, that’s not a bad song title). George: I must tune my sitar, which will take me until October. Brian: Boys, boys! The NAMM is a great historical foundation called National Association of Music Merchants, founded in 1901. Brian: In any case, if we appear we can help promote our albums. Ringo: But we’re too busy making albums to promote them. Paul: True, true. Just yesterday you told me you needed me to write 14 songs by Tuesday. John: We’ve only written thirty-eight, so we have to throw out a couple of dozen to get anything good. Brian: – you could have a jam session with some of the best musicians in the world. They all attend NAMM. Silence. They all look around. No one says a thing. 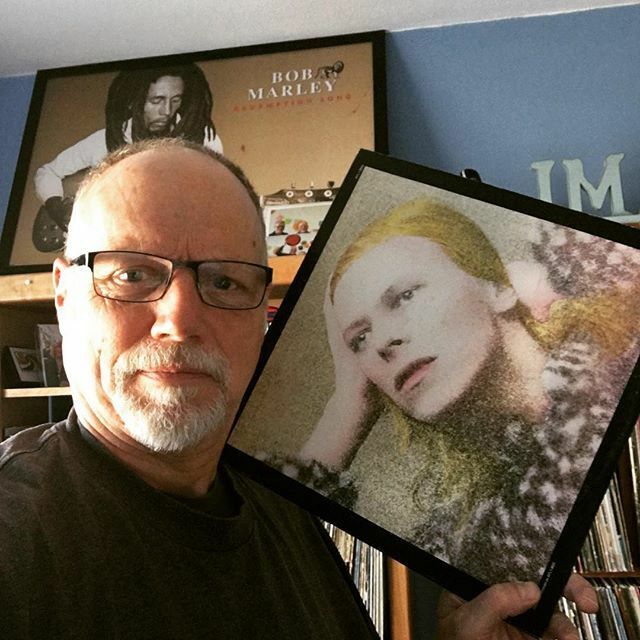 Finally, John breaks the silence. John: You seem to have unnerved us, Brian. Perhaps we can groan a bit at your suggestion and in your direction. (all groan:) Oh, oh, oh, oh…. 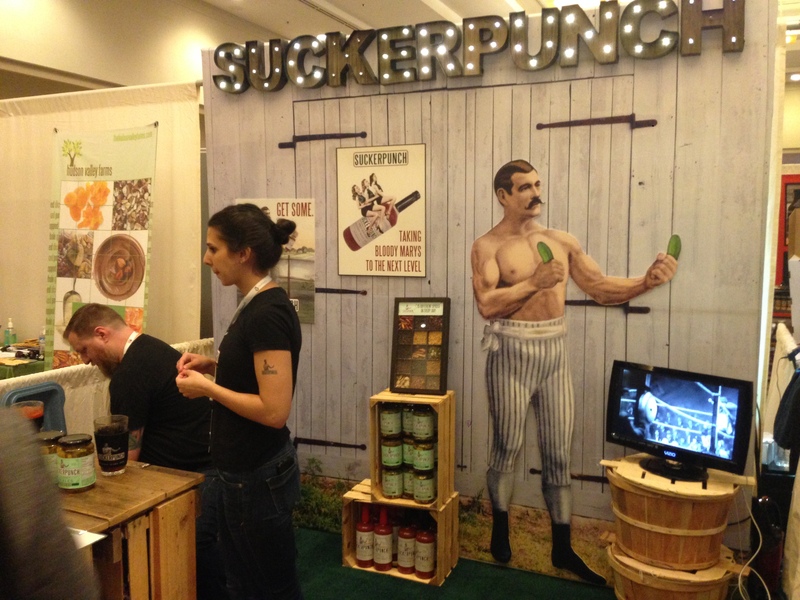 Brian: But if you have your own tradeshow booth, imagine what it might look like. Ringo: Let’s put a submarine in it! George: Or we could hand out samples of truffles. Brian: So, it’s settled. A submarine with truffle samples, with all the colors of the rainbow. Brian: I’ll call the accountant and have the agency book our tickets.